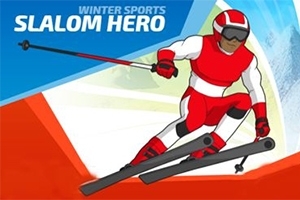 Choose your hero and compete across 3 courses in the Slalom event. Steer between the slalom gates and collect boosts to improve your times. Will you win a Gold Medal?